Thanks Liviu for a great theme and providing good support and documentation. 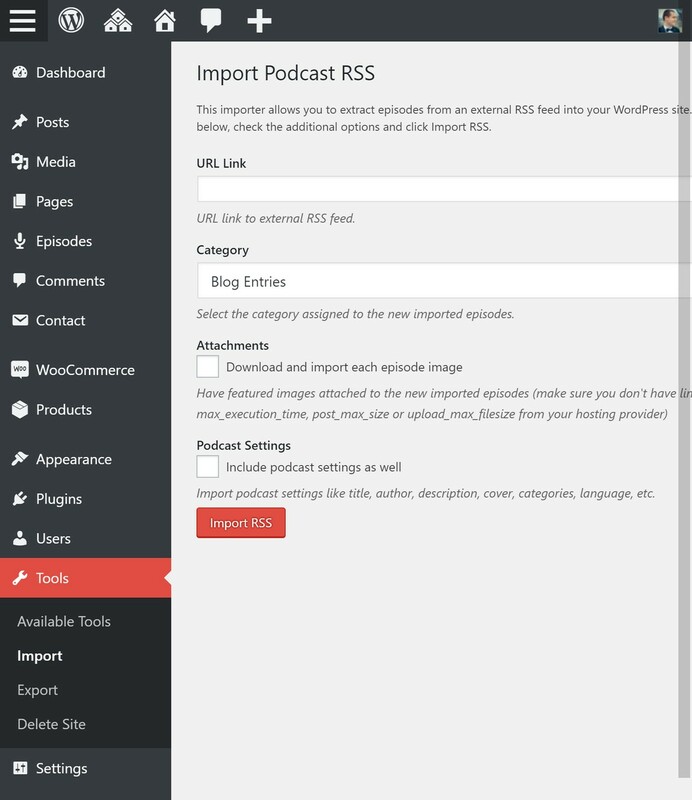 I really like the design of this theme, and it is quite simple to install and configure with WordPress. 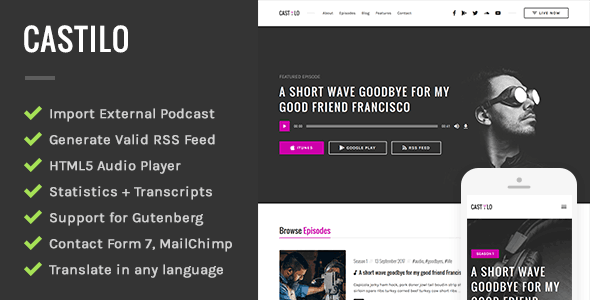 It is well tailored for podcasters as the podcast play button is built into the page in a well-designed way and also includes prominent ‘call to action’ buttons for encouraging listeners to subscribe/follow etc. Awesome theme with exceptional customer support. I asked a quick question to the author and the response time was VERY fast, and answered exactly what I needed. Highly recommended! Great theme and super fast customer support. Really happy with it and excited to create using it. I had some questions which were all answered in a few hours and really helped me out. Even a feature I was looking for was added in a day! Amazing! Went beyond the call of duty with troubleshooting. Theme is simple and concise, exactly what I like. 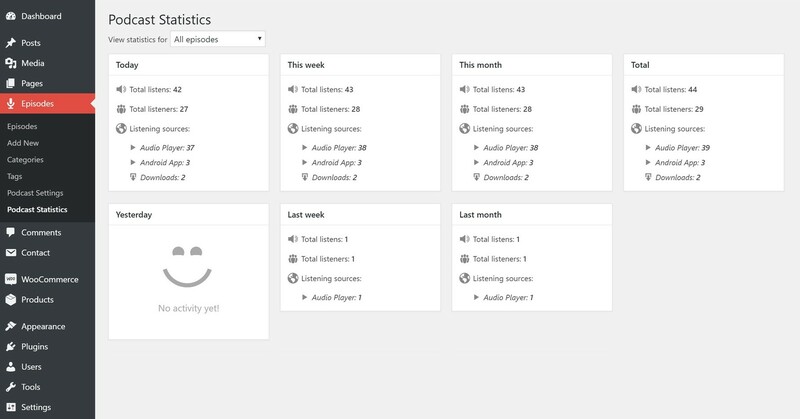 I really like the simplicity of the design and how it includes a neatly organized way to manage podcast episodes. Not a lot of extra fluff that makes a theme heavy. 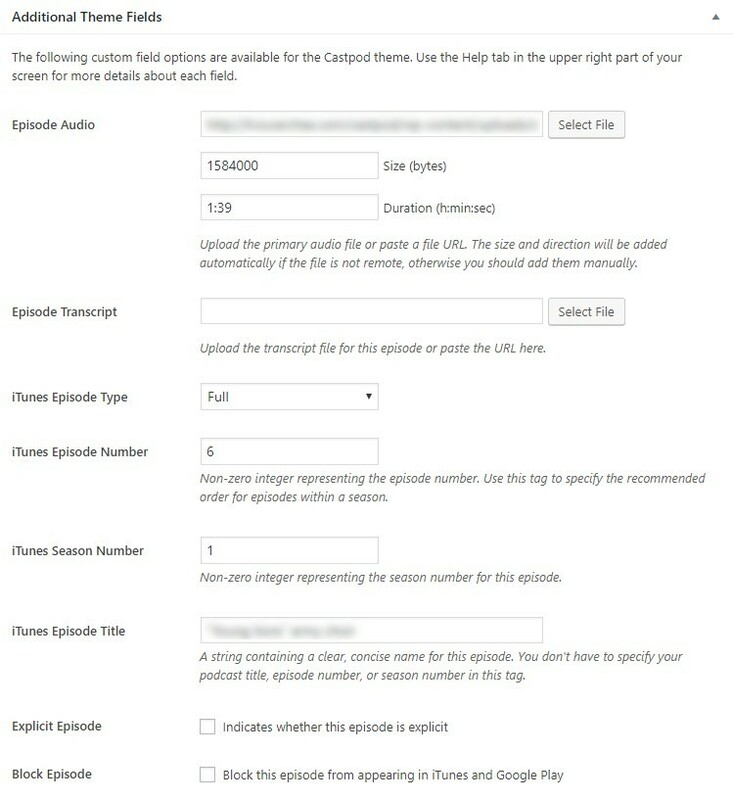 Yet it includes everything that a podcaster looks for in a theme. I love this theme and the price was an amazing bargain. Thank you for creating a theme that doesn’t use any of the typical page builders I love the clean code! * Changed "Follow Us" Home page text string to "Follow On Instagram"